I absolutely detest noisy neighbours. 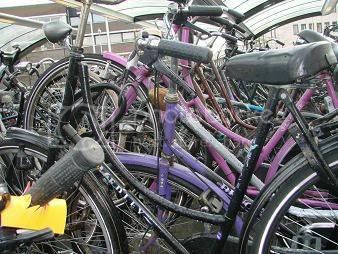 Here in Holland #1 annoyance probably is when your bike gets stolen.. Personally I hate it when people place their bikes all over the place at the pub or school blocking the way out. A major annoyance is people who aren't caught using a mobile phone whilst driving, but as a Moderator here one really irksome thing is new members who don't read the rules FIRST and make requests from day one-my solution is post something first, read the rules and if you can't or won't then leave it to someone who wants to. Today's lurker could be tomorrow's poster.